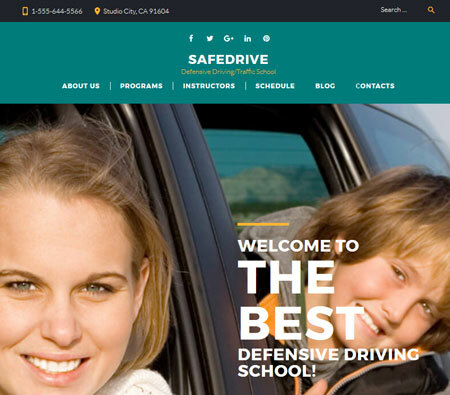 ImDrive: a one-page WordPress theme for traffic schools with a drag & drop page builder and WooCommerce support. It is responsive and ready for RTL languages. 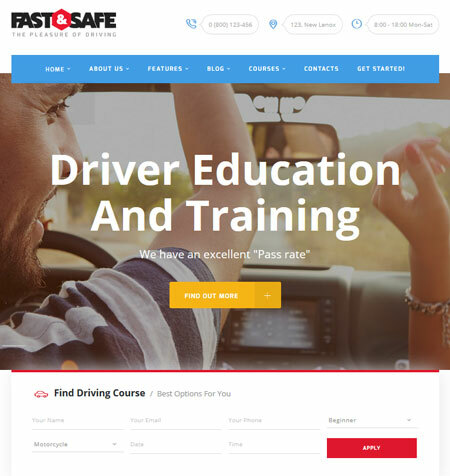 SafeDrive: this traffic school theme is powered by TemplateMonster’s drag & drop page builder, with more than 25 modules. It comes with Appointment manager, Timetable plugin, and custom widgets. 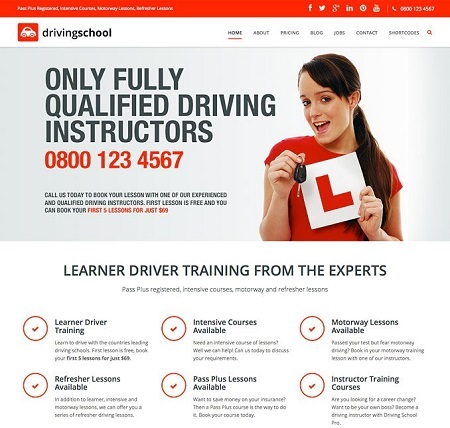 Driving School: a commercial theme for automobile websites. It comes with mega menus, easy color management, a drag & drop page builder, and Layer/Revolution slider integration. 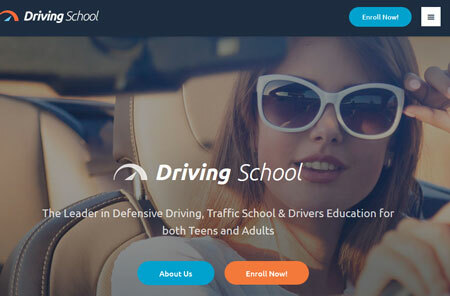 Driving School Pro: a responsive theme with a drag & drop page builder for your site. It comes with over 50 shortcodes. The theme is powered by the FT Options framework. Stay tuned as we will cover more traffic school templates here in the future.